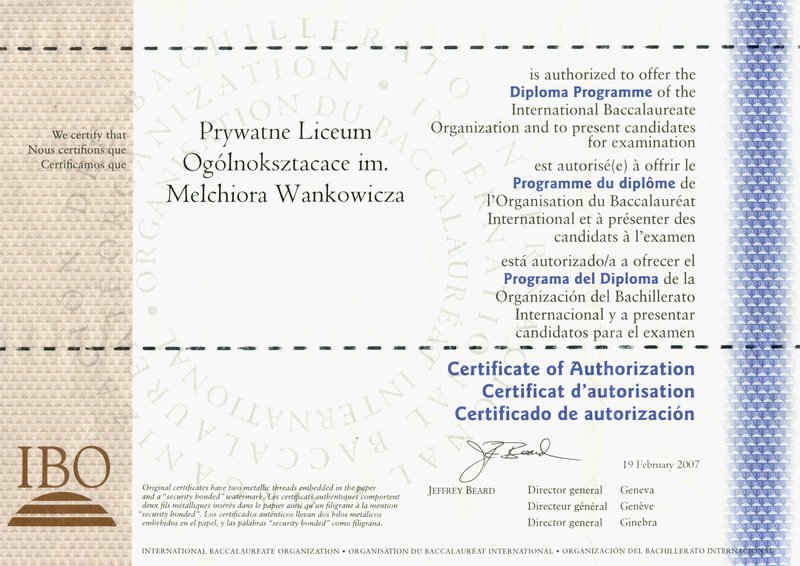 All alumni of Secondary Schools who are interested in International Baccalaureate Diploma Programme are welcome to study in our high school – Prywatne Liceum Ogolnoksztalcace im. M. Wankowicza. International Baccalaureate Diploma Programme exists in over three thousand of schools in 125 countries. 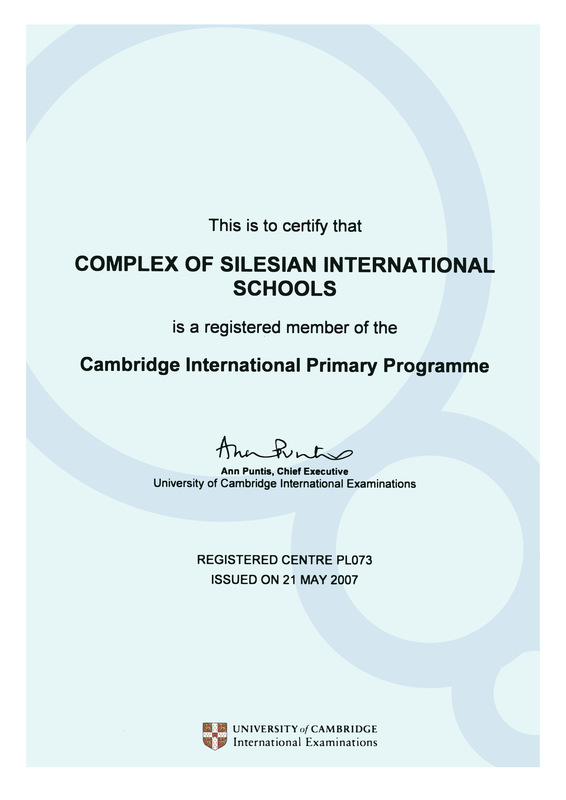 It has been available for almost 50 years, and our school has offered it together with the CIE programme since 2007. We prepare students for their further education at any university in the world. 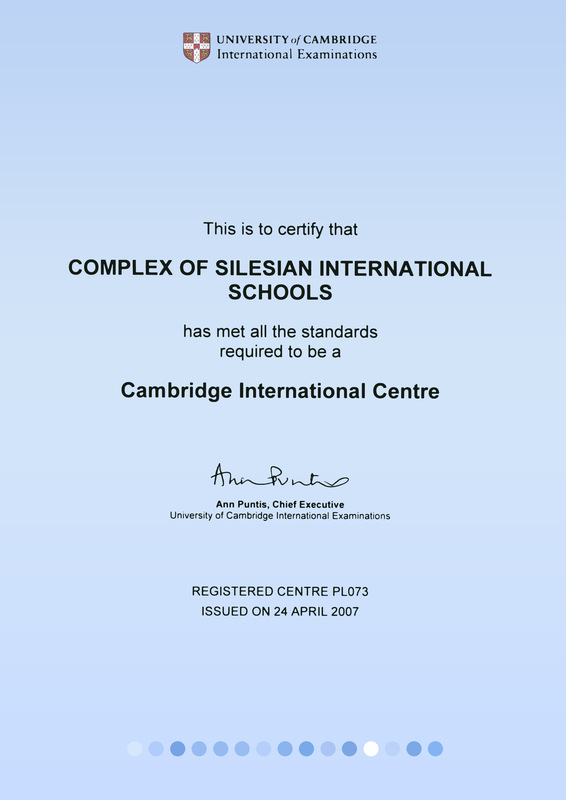 * Private candidates are not accepted which means that only candidates attending a Cambridge school may enter IGCSE exams in the Complex of Silesian International Schools.